So this is finally it. 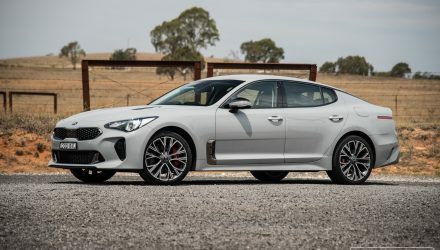 The Kia Stinger GT; one of the most anticipated cars of the past 12 months. 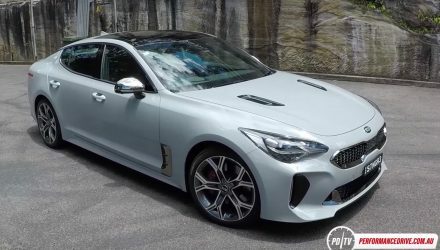 Kia has never made a sports car, not from scratch anyway. So this is a big deal. Fortunately for buyers, it’s not actually a big deal in terms of the transaction. You see, you can’t buy a large rear-wheel drive sedan with this much power at or near this price anymore. It’s probably a good thing if you think of the Stinger as a modern replacement for the now-deceased Ford Falcon XR6 Turbo and Holden Commodore SS. But is this a good thing? It steps into a diminishing section of the market. 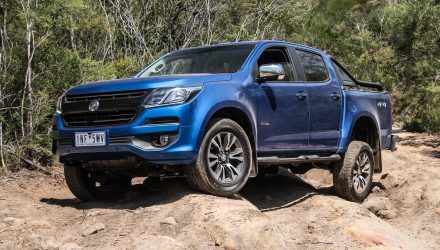 Diminishing so much that two giant auto companies – Ford and GM Holden – killed off their equivalent products due, largely, to falling sales. 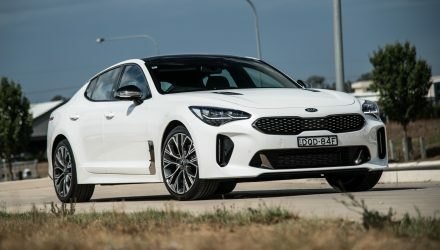 However, the Kia Stinger comes into the market with a reinvigorated approach to the large family sedan. If you look closely you’ll see the Stinger isn’t technically a sedan. Instead, it’s a swooping four-door coupe with a fastback rear incorporating a full-lift tailgate. 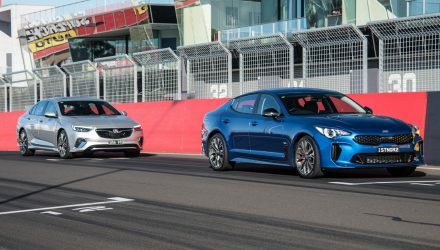 Will this help win back Falcon and Commodore buyers? 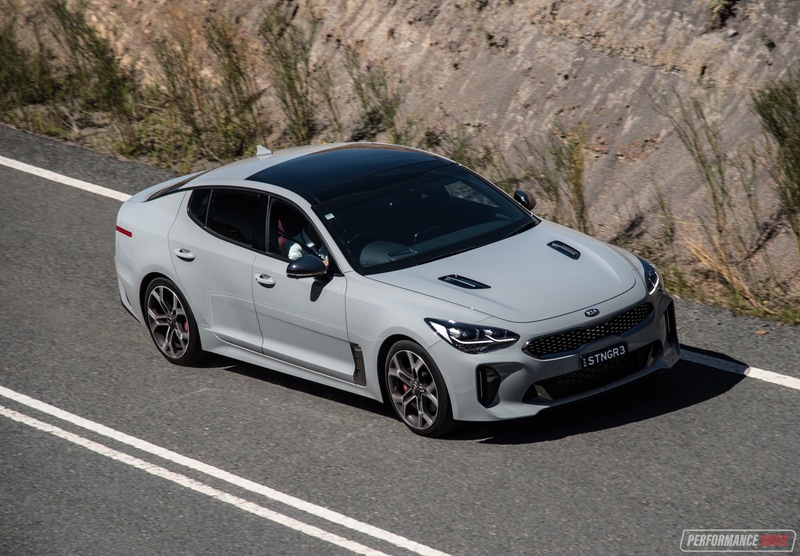 Since hitting the market in October Kia Australia sold 504 examples of the Stinger (through December). As a guide, Holden sold 6482 Commodores in the same three-month period, and Ford sold 1791 Mustangs. It will be interesting to see how the numbers climb throughout the year. Buyers are presented with a number different variants, spanning from the S, Si, to the top GT and GT-Line. These are available with either a 2.0-litre turbo-petrol four-cylinder producing 182kW, or a tempting 3.3-litre twin-turbo V6 developing 272kW and 510Nm. 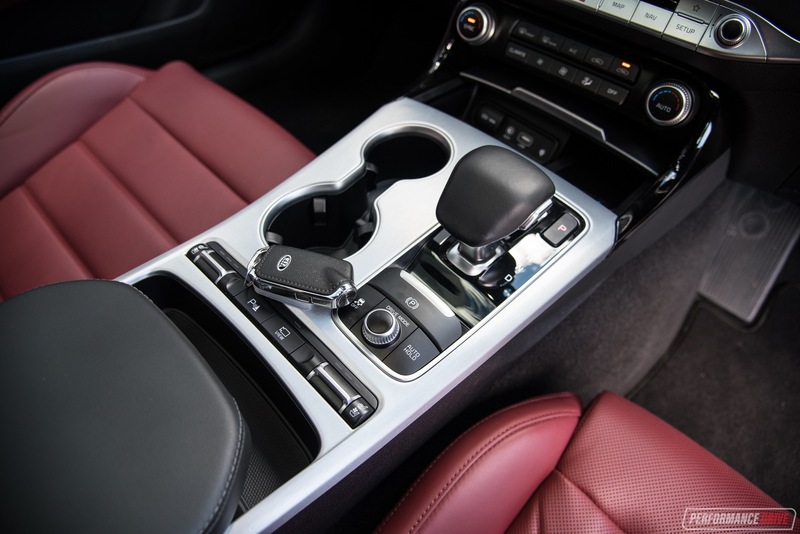 In either case, the engines are connected up to an eight-speed automatic with rear-wheel drive. Head over to our news report for the full price list. 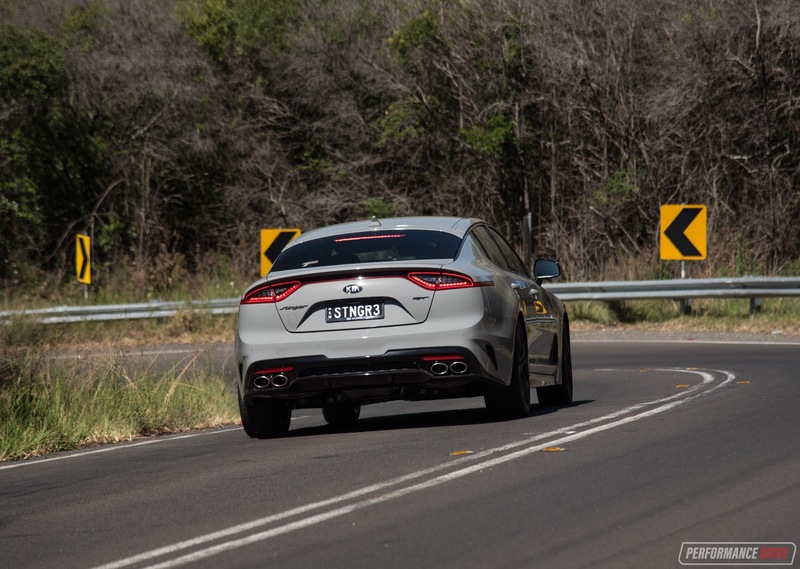 To start with we’re testing the flagship V6 GT, which starts from $59,990. Other variant reviews will follow. 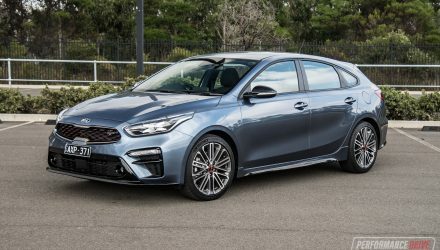 Kia has well and truly shaken off any notion of ‘cheap and nasty’, pretty much in every conceivable area; vehicle quality, powertrain performance, design and execution. And the Stinger is no exception. 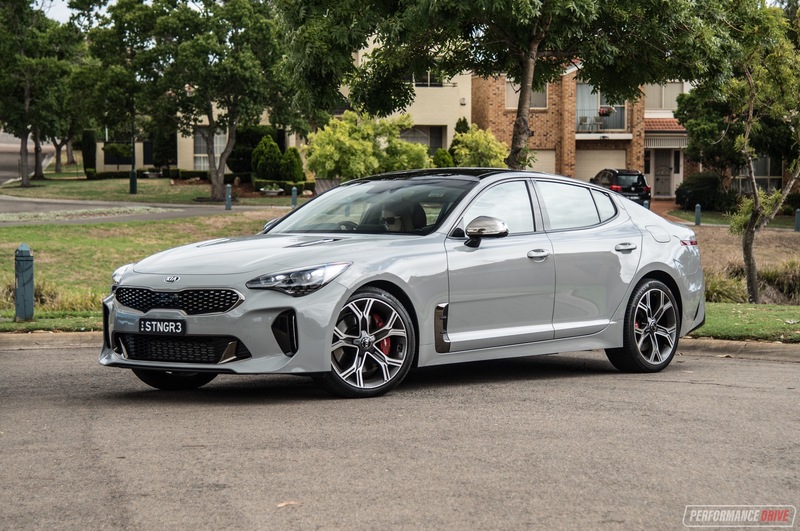 Being the brand’s flagship model (in Australia) the Stinger is undoubtably luxurious and surprisingly refined inside – it’s certainly more refined than any Aussie-made sedan. The GT is presented with leather-wrapped seats (Nappa), perforated in the front for heating and cooling, while splashes of metallic land on the centre console and door trims for a classy, almost 007-like theme. 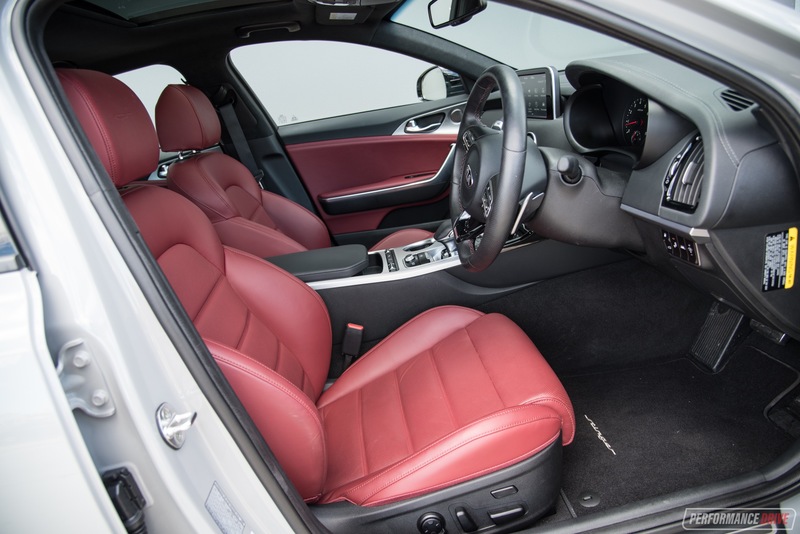 There’s an option for red leather to really give the interior a boost in visual appeal, available as at no cost on the GT. The external measurements make it ever-so-slightly smaller than today’s Aussie-made Holden VF Commodore. Even so, the swoopy cabin design means it’s not as upright, sporting a low roofline. Overall roof height is measured at just 1400mm, or 7cm shorter than the Commodore (1471mm). Thanks to some clever engineering of the cabin the Stinger is just as accommodating as anything else in this class, in terms of luxury appointments and the placement of functions. 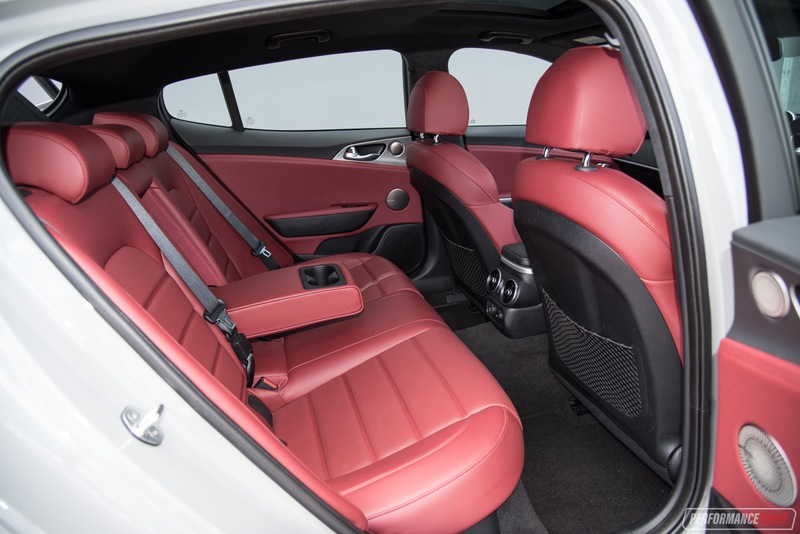 Once you step down into the relatively low-mounted seats, you won’t be wanting for more headroom, or legroom for that matter. All doors open nice and wide and the door openings are large enough to make frequent entering and exiting a breeze. Rear seat space is especially abundant. Once you’ve stepped down to get in that is. There’s a heap of legroom, and in the GT at least you get your own climate vents and temperature control for added comfort. Headroom is pretty good for a four-door coupe, but only acceptable for a large sedan. What isn’t acceptable is the boot space compared with vehicles in this specific segment. 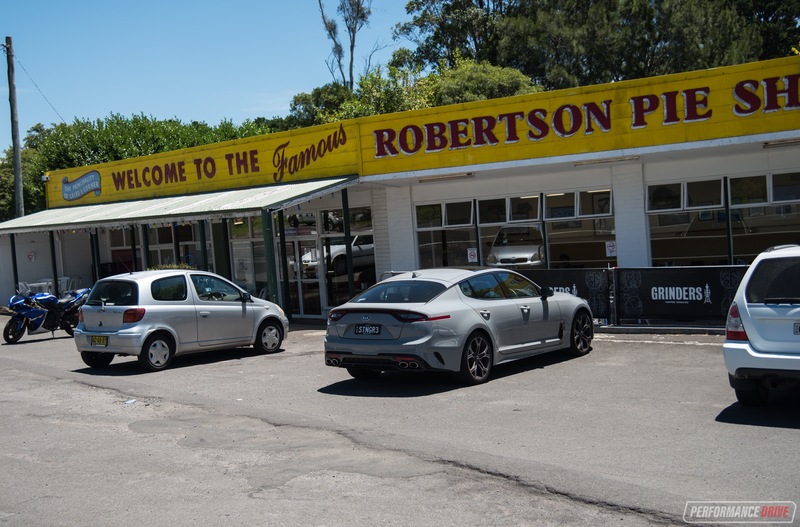 Its 406L/1114L capacity is fine if you categorise the Stinger as a sports car, but very small for a large sedan – a Mercedes C-Class mid-size sedan offers 480L. 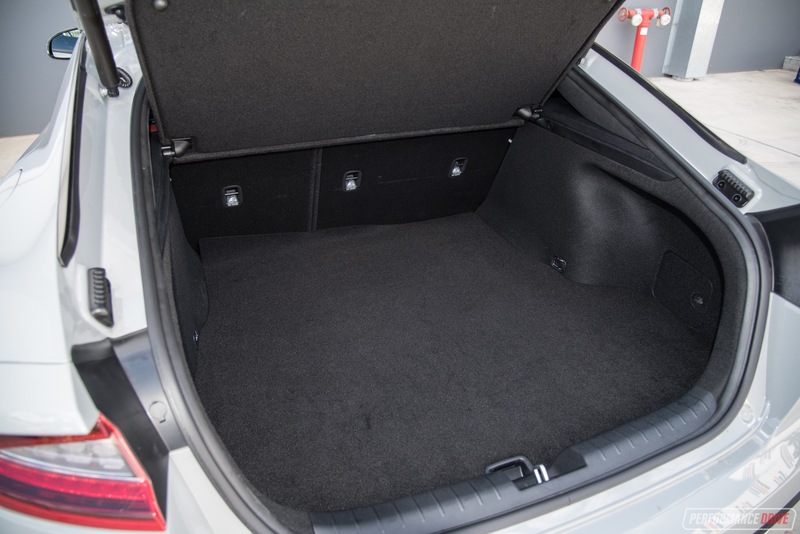 The length of the boot floor extends far enough, but the depth/height with the hatch closed is rather poor. Despite the small boot, there’s only a space-saver spare wheel under the boot floor which adds salt to the wound. We hate simply listing features in reviews as you can get them from looking at the brochure. 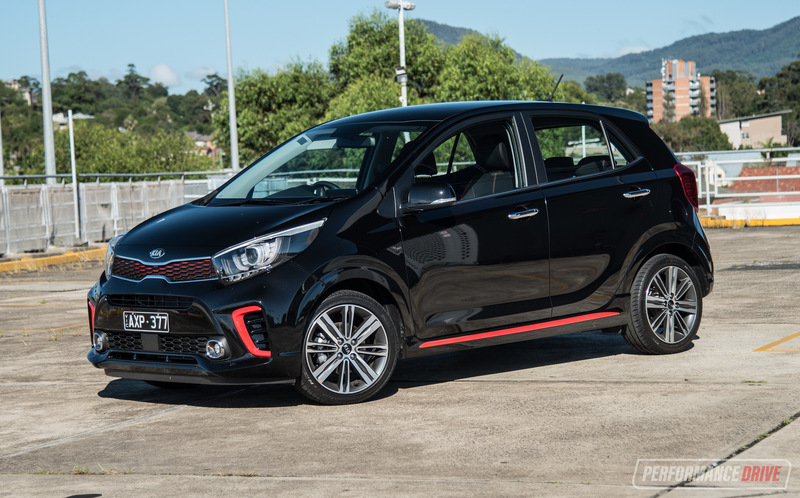 But one of Kia’s main attractions is packaging and value for money. In the Stinger GT everything you see here is standard. In fact, there’s just one optional extra; premium paint ($695). This test car is coated in the rather intriguing Ceramic Grey metallic (non premium option). We think it looks quite interesting and it helps the Stinger stand out on the road. 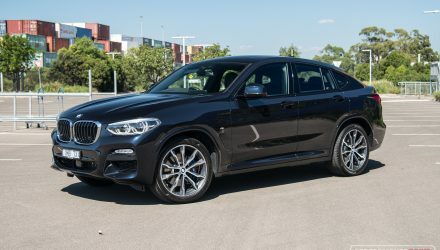 As for the standard features though, you get a 15-speaker Harman/Kardon sound system with two sub-woofers (pumping bass), an 8.0-inch touch-screen media interface with Apple CarPlay and Android Auto with digital radio, keyless entry and button start, bottle holders and cup holders front and rear, dual-zone climate control, power-adjustable front seats and steering column, and a power tailgate. 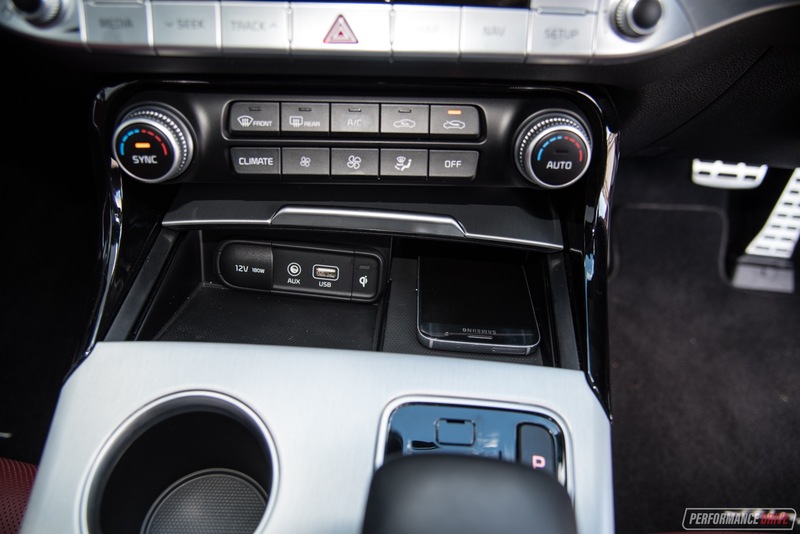 The GT also adds a wireless phone charger in the front. 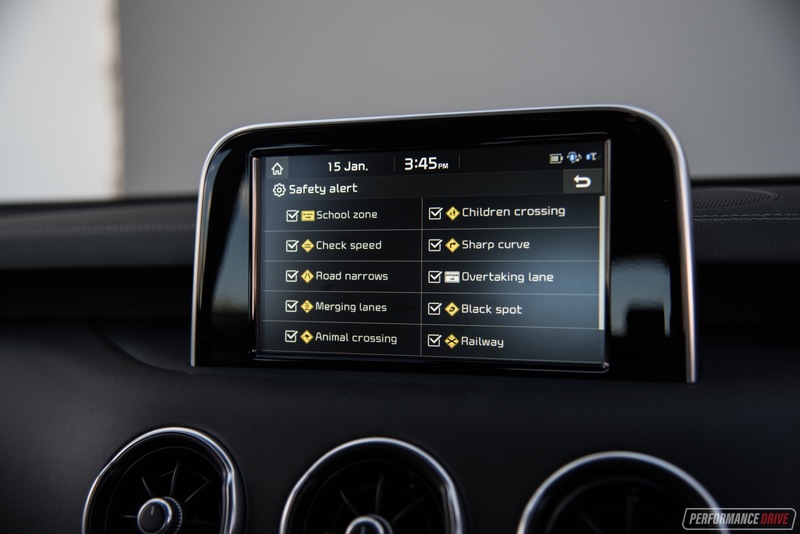 There’s also a suite of safety technologies to make driving easier and safer, such as blind-spot warning, lane-keep assist, autonomous emergency braking, adaptive cruise control, and enough airbags and other gizmos to help provide a five-star ANCAP safety rating (lower variants are three stars). To ensure maximum enjoyment behind the wheel, a set of Brembo brakes, a limited-slip differential, and sports suspension with active dampers (comfort and sport modes) are thrown in. It all depends on how you interpret the Stinger. Is it a sports car or is it a luxury grand tourer? As a grand tourer, this is a very pleasant, quiet and comfortable piece of transport. It glides along the highway, and the suspension in comfort mode irons over Australia’s shabby roads with complete compliance. There are absolutely no rattles or creaks from the cabin fixtures either, adding to the tranquility. 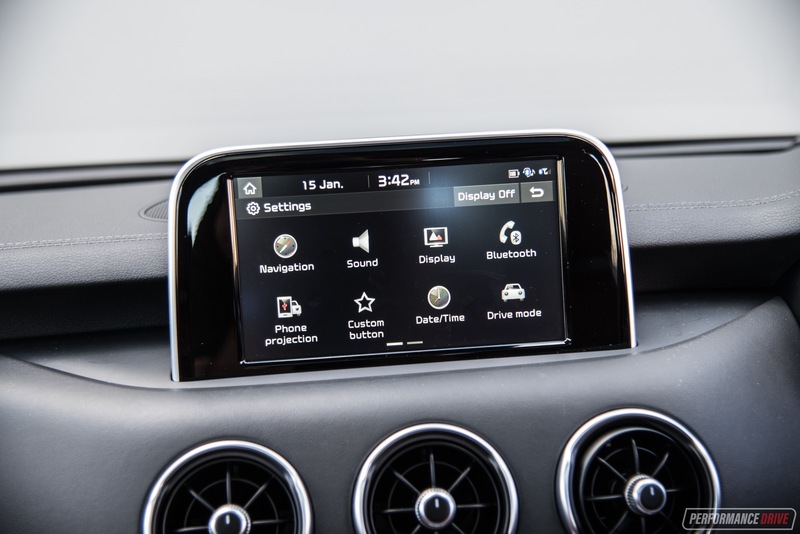 All of the main driving controls are easy to operate and intuitive. For example, the steering is not too heavy and not too light, and you’re faced with a sporty three-spoke wheel. 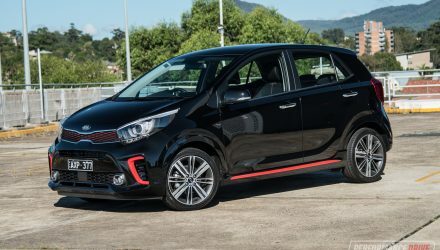 It’s an electronic variable-ratio system with the motor mounted directly on the rack (called R-MDPS), which Kia says offers better response compared with column-mounted electric systems. Being variable means in car parks the ratio is quick, allowing you to get more angle with fewer turns. Out on the highway, the ratio is essentially extended so it’s less twitchy. It’s quite a nice steering system, enhanced by an excellent driving position, with decent feedback letting you know what the front and rear ends are doing. It’s not as pure as a mechanical system in our opinion, and it’s not as outright organic and feelsome as some of the setups presented in proper sports cars on the market at the moment. But for a luxury grand tourer, it passes with distinction. This brings us to the handling. 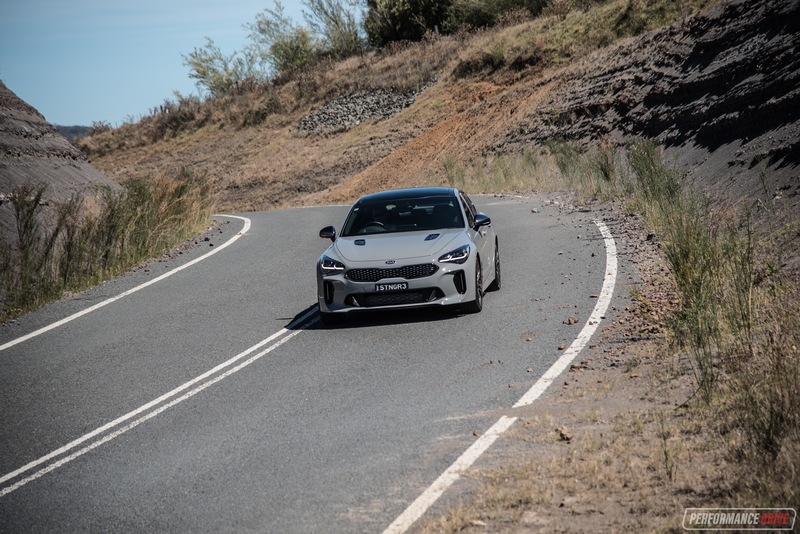 If we switch our focus from luxury to sportiness, hitting the Sport button on the way, the Stinger really comes alive in the bends. The MacPherson strut front suspension and the multi-link setup on the rear noticeably tightens up, resulting in an honest and joyful character. 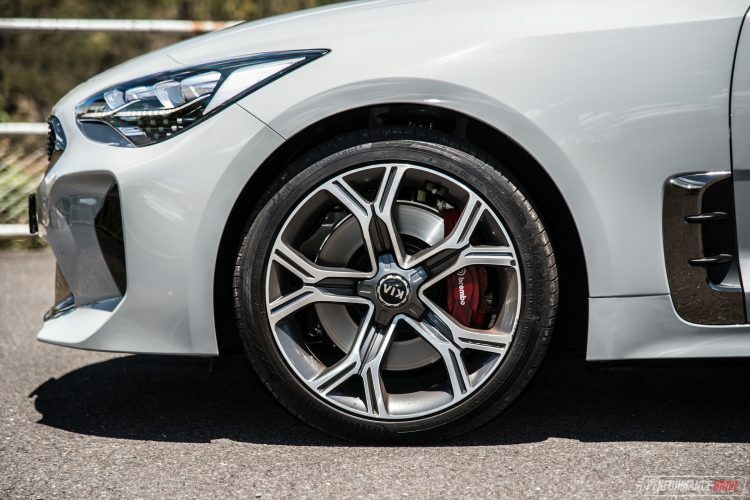 There’s an enormous level of grip available from the Continental ContiSport Contact 5 tyres (Michelin Pilot Sport fitted overseas), but even if you do manage to unsettle it to the point where it lets go, it lets go in a gradual and predictable manner. This is one of those cars that you can really throw into the bends and it will brace confidently, with gentle oversteer possible on throttle application. 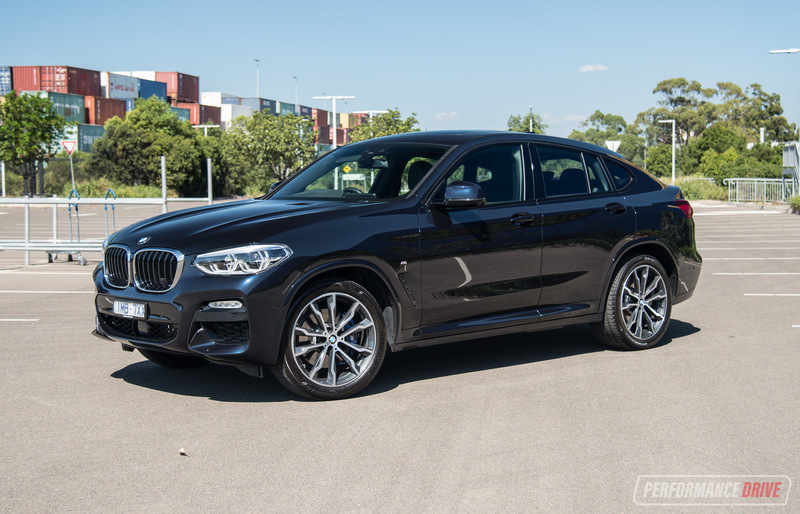 It’s not as exciting as a BMW M car or a Mercedes AMG model, and we put this mostly down to its hefty 1780kg weight, but it is playful and extremely approachable, making it suitable for a wide range of drivers. The sheer balance is the most impressive part of the drive. And it feels really quick in between the corners. Put your boot in and it’ll kick down and shoot you along with serious g-force. 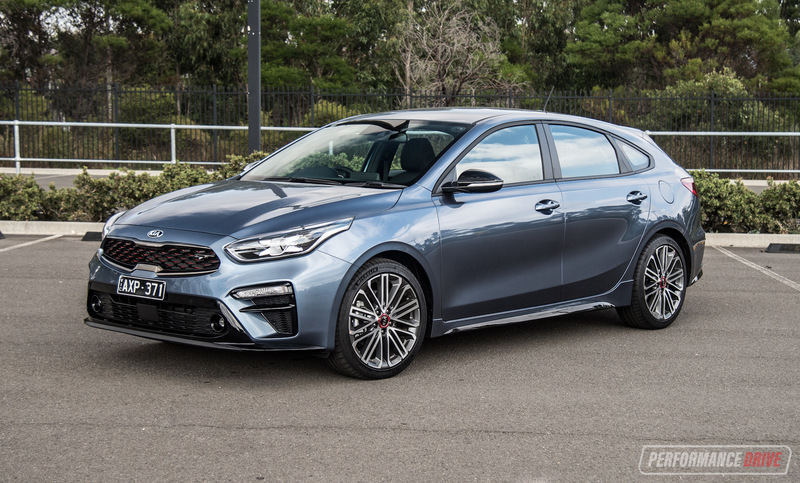 The Kia-designed eight-speed automatic transmission isn’t exactly the punchiest auto on the market, which does detract from the potential yee-haa fun. There’s a tiny delay off the mark and the upshifts slur rather than bang. 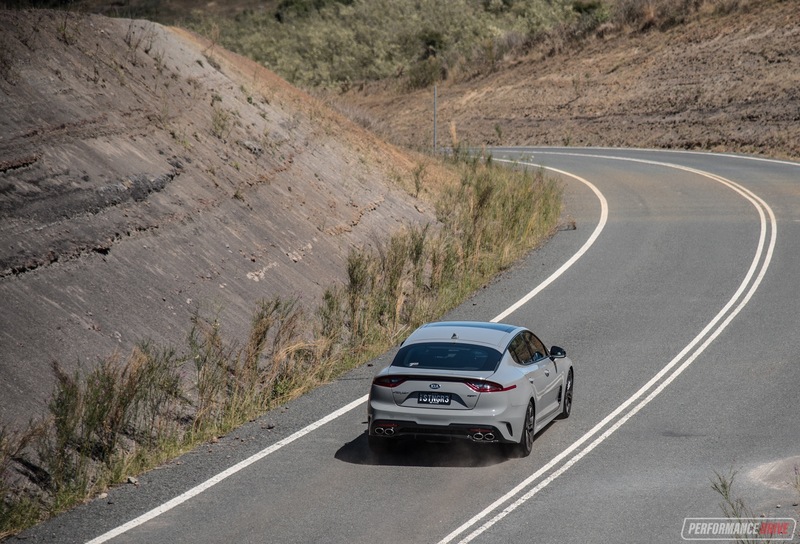 We think a dual-clutch auto would help to lift the theatrics of it all, with a nice exhaust pop between gears, but such a gearbox would tarnish the Stinger’s relaxing, grand touring ability. Speaking of exhaust pops, there aren’t any. This is easily the most disappointing twin-turbo V6 sound we’ve ever heard. Honestly, the Kia Carnival V6 sounds more enthusiastic, as does the new Toyota Camry V6. 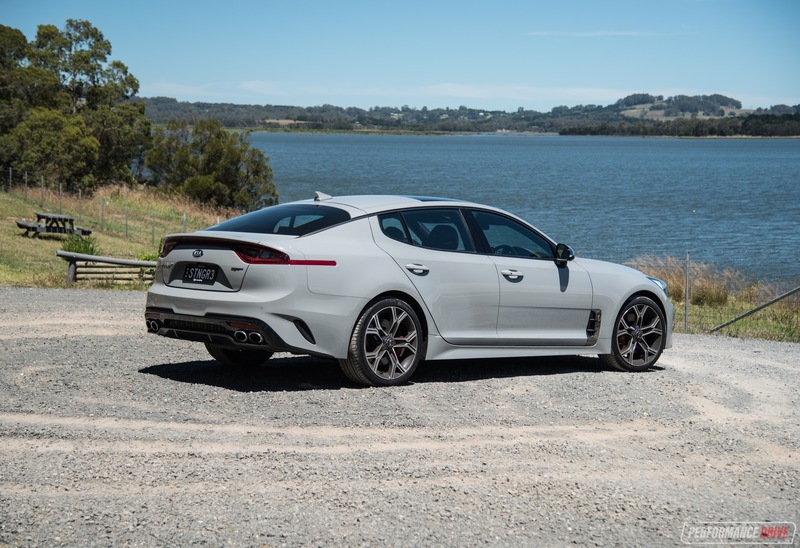 Fortunately Kia Australia does offer a factory bi-modal sports exhaust – check out our video comparison here of the standard and sports systems (we’ll be putting together a review of the 330Si soon, which is fitted with the bi-modal system). Without it the Stinger GT can become a little boring, if you’re looking at it as a twin-turbo sports car that is. As a grand tourer, it’s probably good that it is so quiet. So, how quick is it? The engine produces 272kW at 6000rpm, and a highly usable 510Nm from just 1300rpm to 4500rpm. 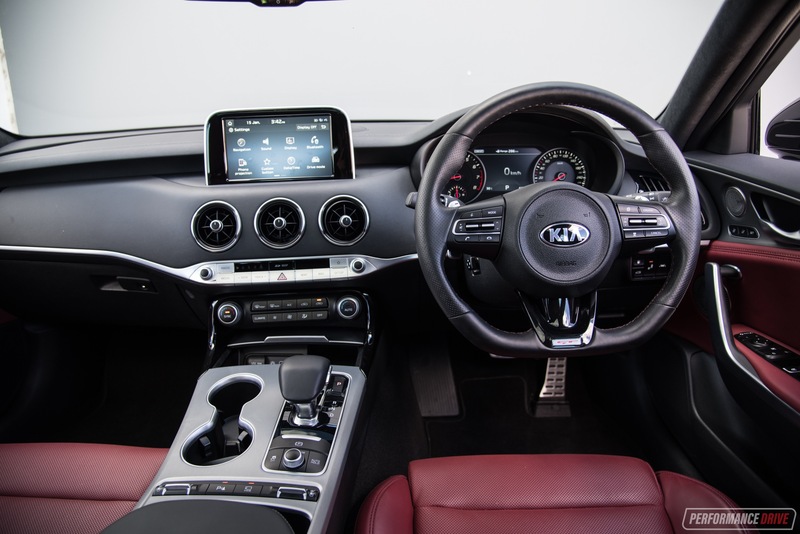 Kia does offer launch control with the Stinger but in our opinion it’s not really launch control as you might know it. 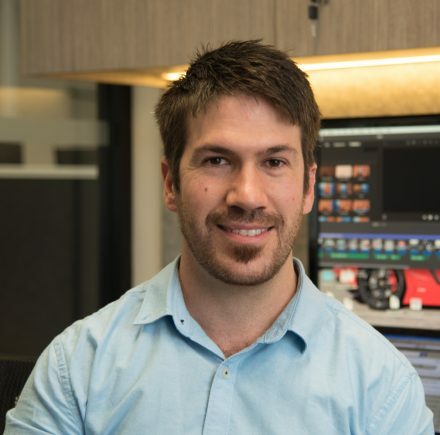 Launch control, traditionally, is a special function that allows you to build up the revs while on the spot, and then it works out the optimum balance between wheelspin and engine revs (power) for a slingshot launch. In the Stinger you place your foot on the brake and press the accelerator pedal to build the revs slightly. The torque convertor is engaged during this, which means you can only build the revs to around 2000rpm before the car starts pushing through the brakes (or it starts doing a burnout). 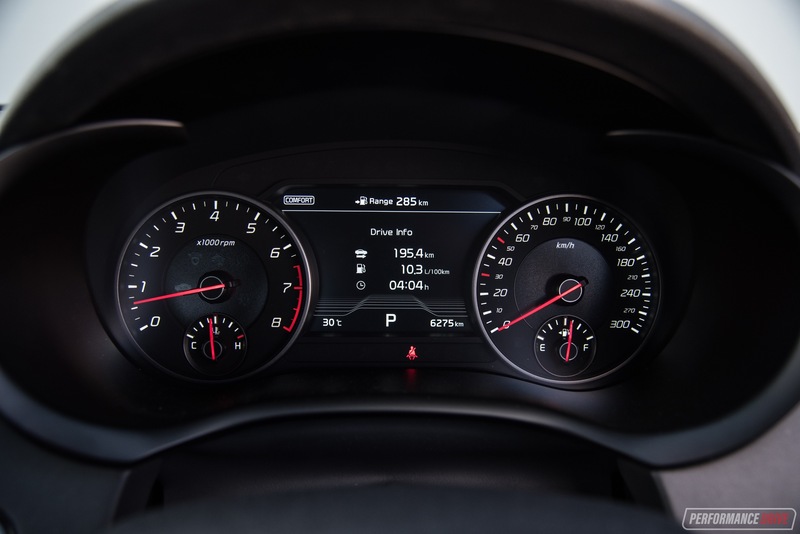 You can use this method in all automatic vehicles fitted with a torque convertor – it’s the method we use to get the best acceleration times in auto cars – so we’re not sure why Kia is labelling it as launch control. Controlling the wheelspin is probably where the system will do its work. However, the Stinger doesn’t produce any wheelspin off the mark, which makes the dash light “launch control” redundant in our opinion. Anyway. Using our Racelogic Vbox Sport we tried around 10 acceleration runs. The best 0-100km/h time we could achieve was 5.28 seconds, which is short of Kia’s 4.9-second claim. Out of curiosity we also ran a best 0-100km/h of 5.36 seconds without building the revs with ‘launch control’. Our testing was in pretty warm conditions, so on a perfect night in the winter you could probably achieve 4.9. These are some quick times nonetheless. Again, if you look at it as a grand tourer the numbers are very impressive. As a sports car, they are fitting but not really setting new benchmarks. 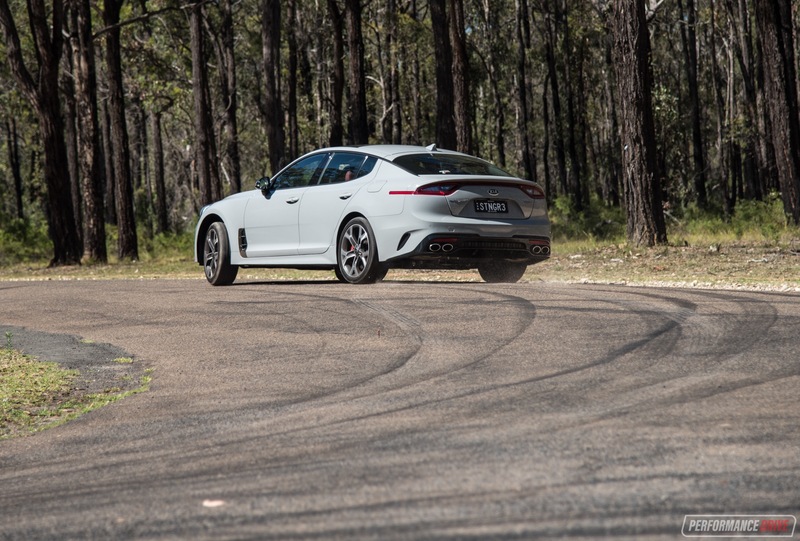 It looks like the Stinger GT is turning out to be all about balance. This is probably the safest approach for a carmaker looking to tackle uncharted waters. Which leads us to the fuel economy. The official fuel consumption average of 10.2L/100km is pretty high, and we put this down to the car’s heavy weight. But in the real world the Stinger is one of those rare cars that you can actually get close to the official figure. We averaged 10.5L/100km in mixed conditions. 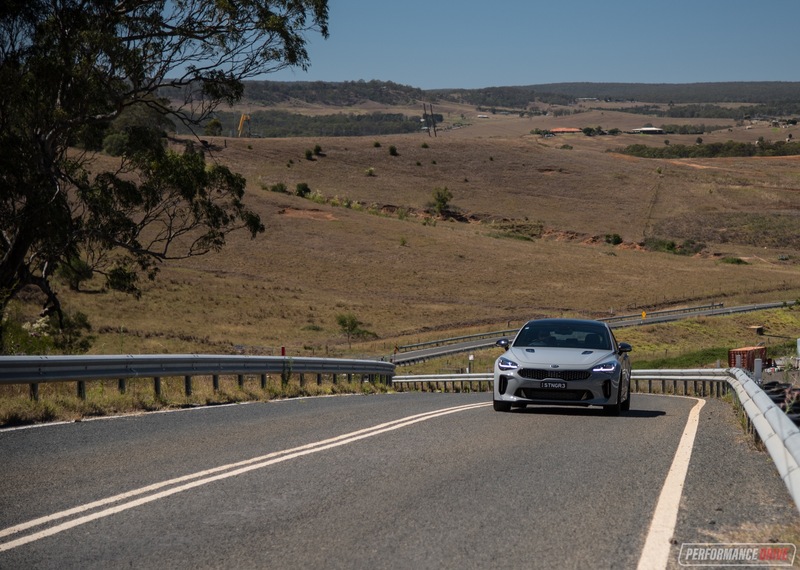 For a car with 272kW and one that can cover the quarter mile in 13.5 seconds, keeping that weight in mind, it’s not bad at all. 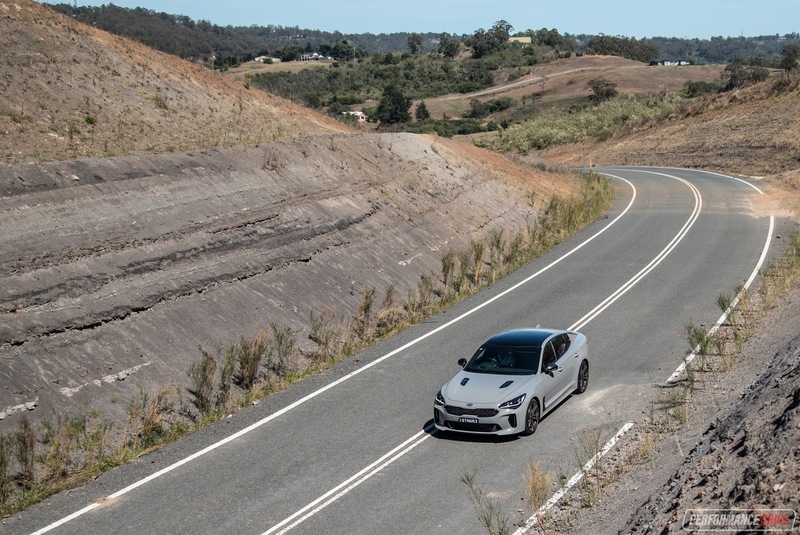 If we’re honest, we (from a performance perspective) are a little bit disappointed in the Stinger GT, perhaps due to the huge hype that built up its arrival. It can seem to lack sparkle and excitement behind the wheel. 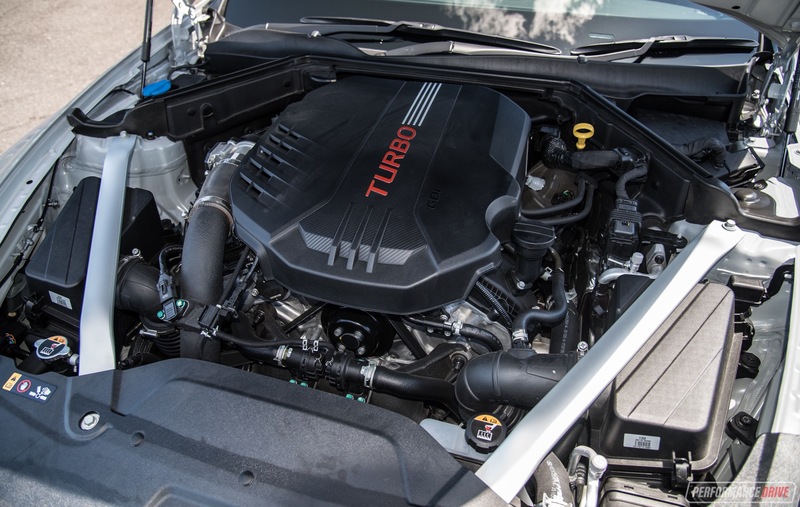 The engine doesn’t sound very appealing at all, and the ordinary auto transmission is more lethargic than lively, resulting in quick yet undramatic straight-line speed. 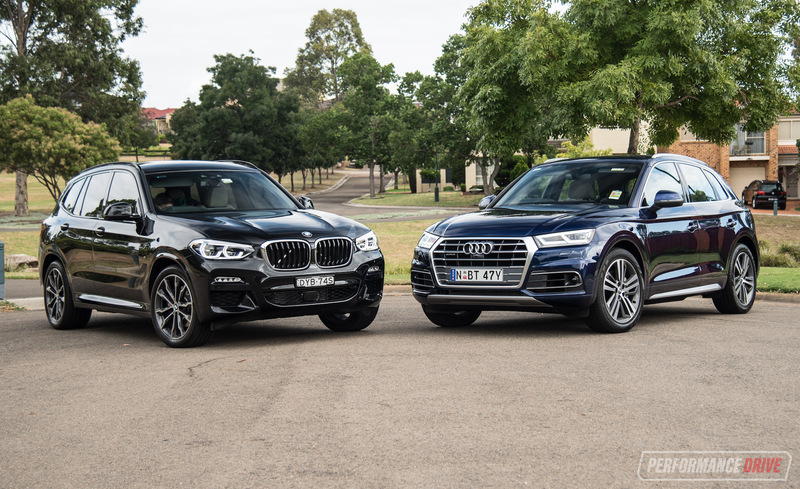 However, the handling prowess really does put all of its nearest rivals to shame. 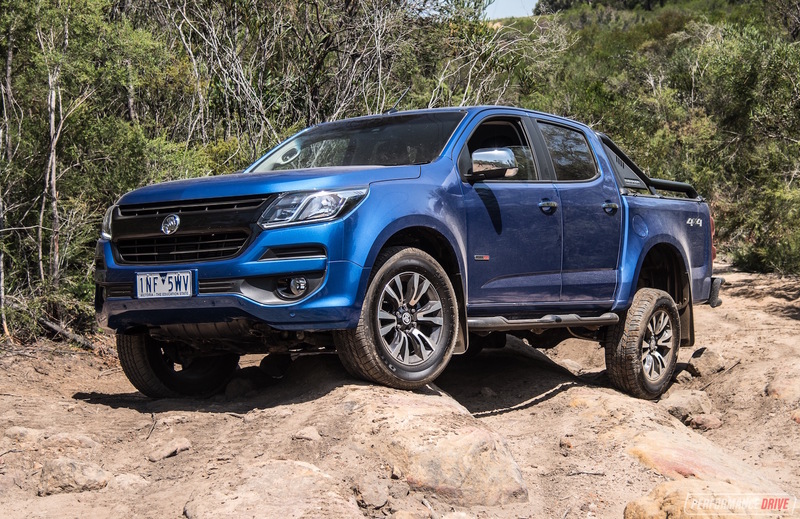 The suspension tune is utterly spot on for Australian conditions; it’s smooth in comfort mode and taut for dynamic driving in the sport mode. We love the friendly nature of the handling. It facilitates drivers of all experience levels, no matter how much you chuck it around and taunt it. And on the other hand, it can be a relaxing and pleasant cruiser. 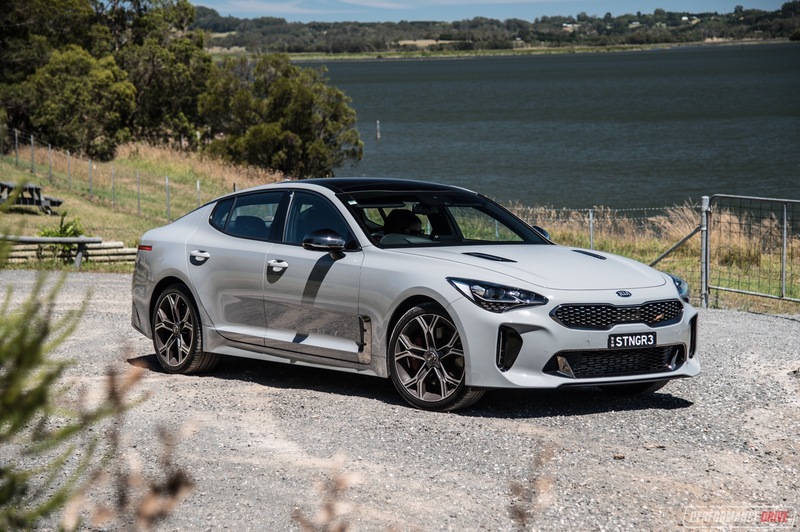 As a replacement to the historically cherished yet somewhat crude Aussie sedans, the Stinger is really in another league. This is a lot more refined and economical, with a beautiful, globally-appreciated design. While the pricing in this class might be a bit too high for now, the value for money does stack up. Factor in the industry-leading seven-year warranty and seven years capped-price servicing and you’re left with a very desirable product. 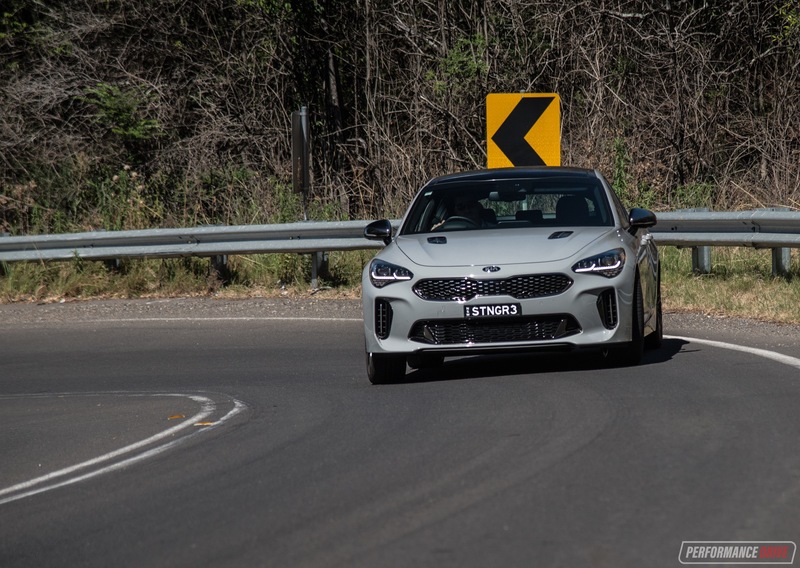 For us, we would have liked a bit more character and noise, but as a first crack at a tough segment, Kia should be proud to show off the Stinger as its new hero product.